There are many happening places to go in Cincinnati, but few that can offer you great atmosphere plus fresh seasonal dining options. 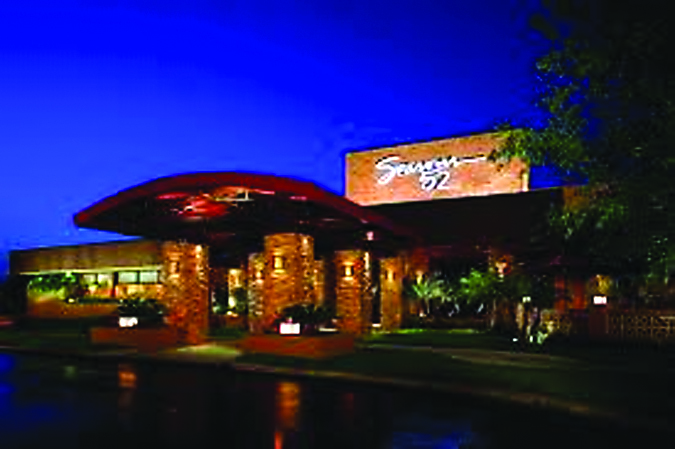 Seasons 52 is all that, and more….just minutes north of Downtown, at the Rookwood Exchange. Created to be a celebration of what’s fresh and ready now, Seasons 52 offers up rustic cooking that brings out the natural flavors of the food. With a constantly changing selection of global wines and a sophisticated yet casual atmosphere, Seasons 52 makes for a fun and tasty night out. There are so many options to enjoy here: start your meal with a delectable flatbread or perhaps a plate of warm roasted olives, then continue exciting your palate with a fresh salad and a filet or some grilled sea scallops. And best of all? Each item on the menu is 475 calories or less! Alternative menus are available as well, including vegan, gluten-sensitive and dairy-sensitive. And don’t skip the dessert; mini selections of an ever-changing variety are the perfect post-meal “sweet nibble”. Sunset at Seasons 52 is considered their “happiest” hour, and select cocktails, wine and beer are available as well as $5 small plates of food, Monday through Friday from 4:00pm to 6:30pm. With live music seven nights a week from 5pm to 10 pm, the oversized bar is absolutely one of the best hangouts around town. The atmosphere of Seasons 52 is warm and inviting, casually up-scale, and with the plentiful selection of wines and cocktails, the energy that flows through the restaurant makes for the perfect night out with friends and loved ones. Seasons 52 serves lunch as well, so don’t pass up the opportunity to visit them in the daytime too. They also have several private rooms for group dining, or business gatherings. If it’s good now, it’s at Seasons 52.